VBS serves customers throughout the five boroughs of NYC with the skill and craftsmanship it takes to create truly exceptional structures. Based on the old-world traditions of careful craftsmanship and attention to detail, VBS builds stunning interiors and exteriors to add sophistication to your commercial, retail, or residential building. VBS has established a reputation for excellence during ten years of operation. We have completed projects that range from minor renovations to large-scale improvements. Our knowledgeable staff members bring twenty-five years of experience to your building project for results that you can count on for years to come. We view your project not only as an improvement in the appearance of your building, but as an opportunity to raise the value of your property. Every recommendation we make is a calculated investment into the future of your building. At VBS we believe that our customers deserve construction that lasts. Every one of our projects rests on sound design principles implemented by a knowledgeable staff with an appreciation for craftsmanship, reliability, and an attention to detail for an unparalleled finished product. The heart of VBS is the honesty, reliability, and an attention to detail possessed by true craftsmen. We balance a sense of style and functionality to fulfill your vision while remaining within budget. Each project begins with a thorough assessment of your needs and proposed solutions that can make your goals a reality. Our team of building experts will execute your plans, injecting new life into your building while fulfilling functional and safety standards. 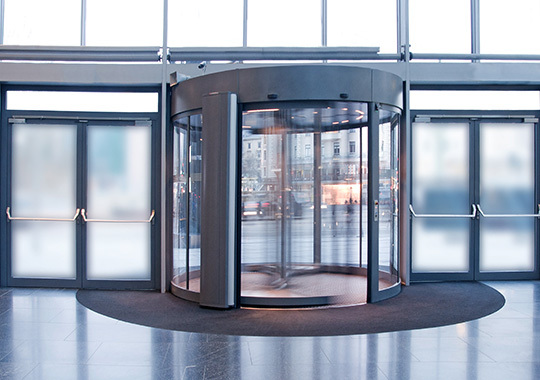 A revolving door manages the brisk pace of foot traffic with an added measure of security. 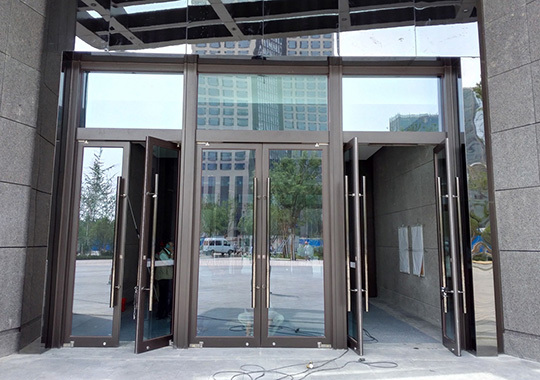 Many residential and office buildings install revolving doors to lend an upscale appearance. 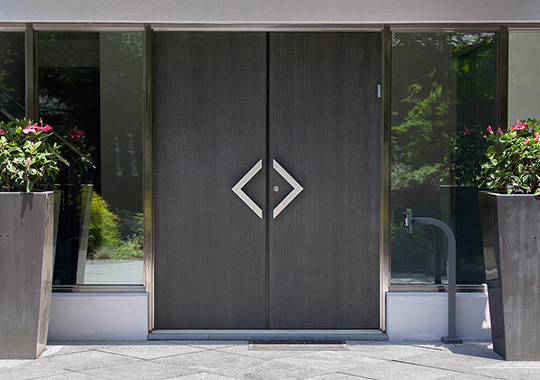 Prioritizing safety and classic architecture, a balanced door is the practical solution to maintaining the beauty of your space. The full effect of a full natural light can transform an entrance into a bright and cheerful space. 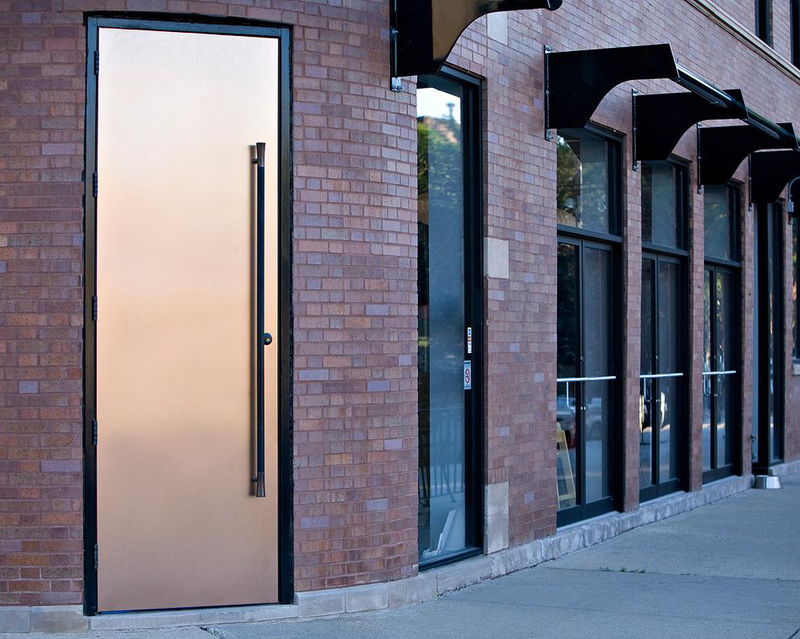 Glass doors offer a clean and classic design ideal for entryways in residential and commercial spaces. 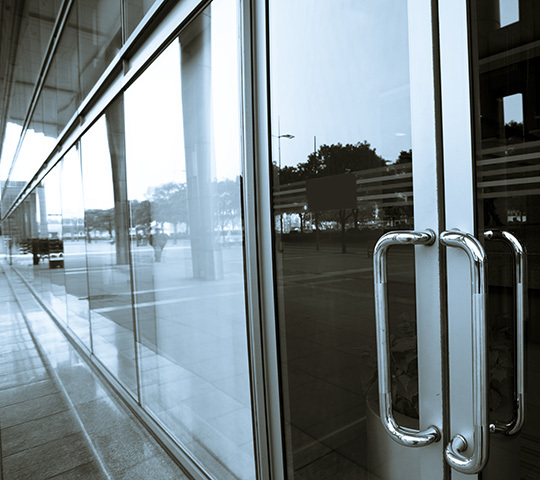 Equipped to contain a fire for hours, fire rated doors provide an additional measure of safety to workplaces and living spaces. 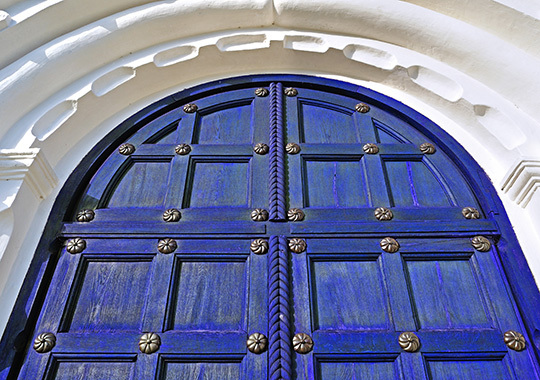 Fire rated doors can prevent casualties as well as property damage, saving lives and reducing the fallout from fires. 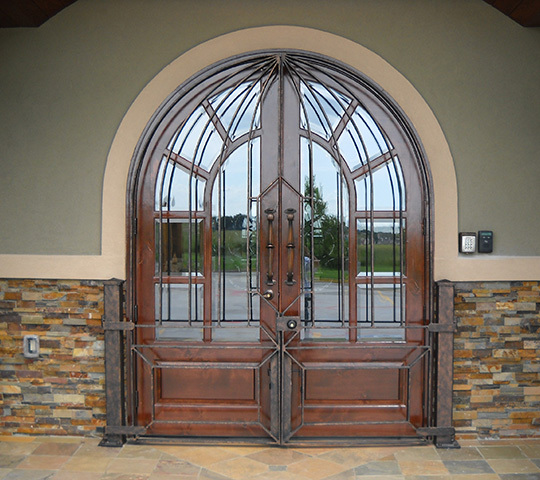 VBS build custom entrances for clients who want doorways with specific dimensions, features, or materials. The strength and durability of metal incorporating textured design elements for a distinct appearance. 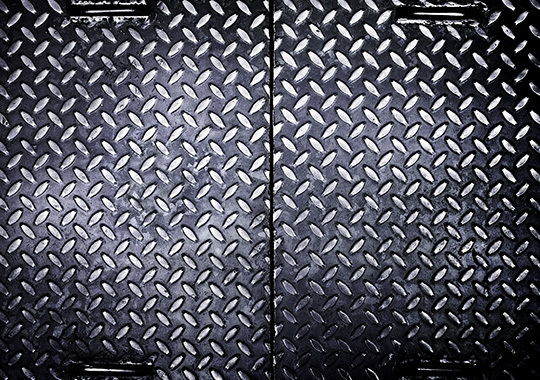 Suited for industrial purposes with unmatched toughness, diamond plating reinforces the security of your entrance for added security. VBS can help you coordinate the heating units in your building with the rest of your interior decor. 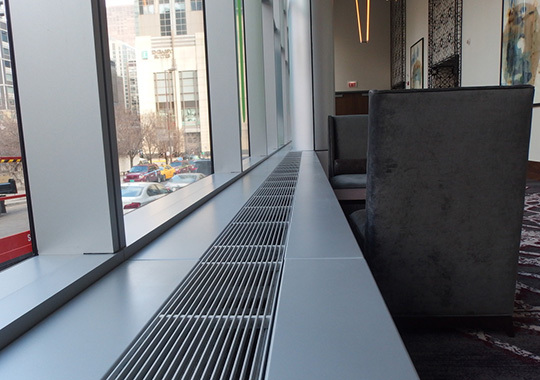 Custom convector covers turn your radiator from an eyesore to an accent piece. © Copyright 2016 VBS. All Rights Reserved.